The League of Patriotic lawyers has called for the resignation of the Attorney General of the Federation, AGF, Mallam Malami Abubakar over the reinstatement of former Chairman of Presidential Task Force on Pension Reforms, Mr. Abdulrasheed Maina. 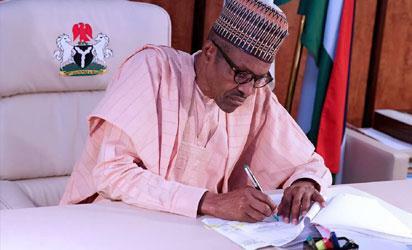 Briefing newsmen yesterday, Chairman of the group, Mr. Abubakar Yesufu has called on President Muhammadu Buhari to rescue the anti – corruption crusade by showing the AGF the door. His words: ”The league wonders why it took this long for the Attorney General and Minister of Justice to name and shame the beneficiaries of pension scam. As the chief law officer of the federation, Malami owes us a duty to reveal the list of this pension scam. For refusing to reveal the beneficiaries of this humongous crime against our helpless pensioners, the Honourable Attorney General has not done well.